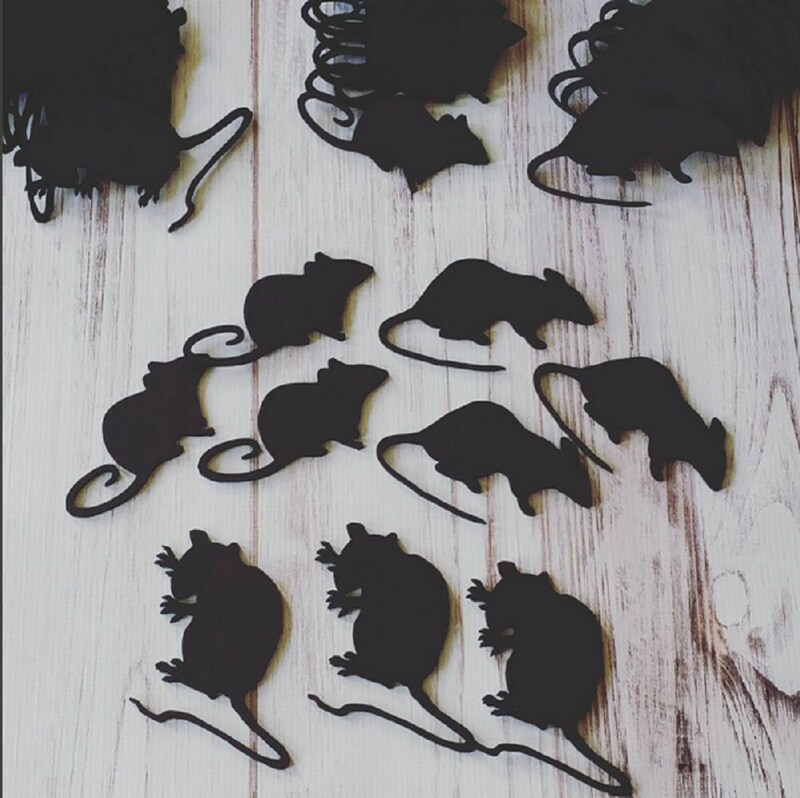 These adorable yet creepy little mice make the perfect addition to any Halloween decor.. 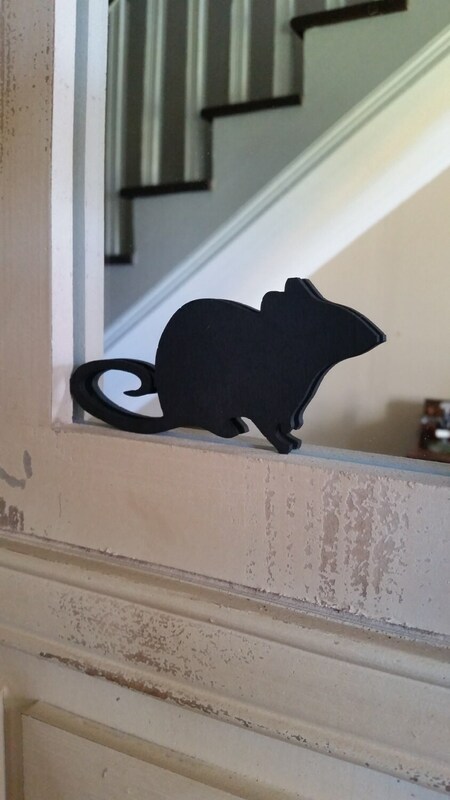 I like to place them on window ledges, mirrors, my fireplace mantel and tucked in throughout my Halloween decor. They are just the right size to look like a real mouse.! 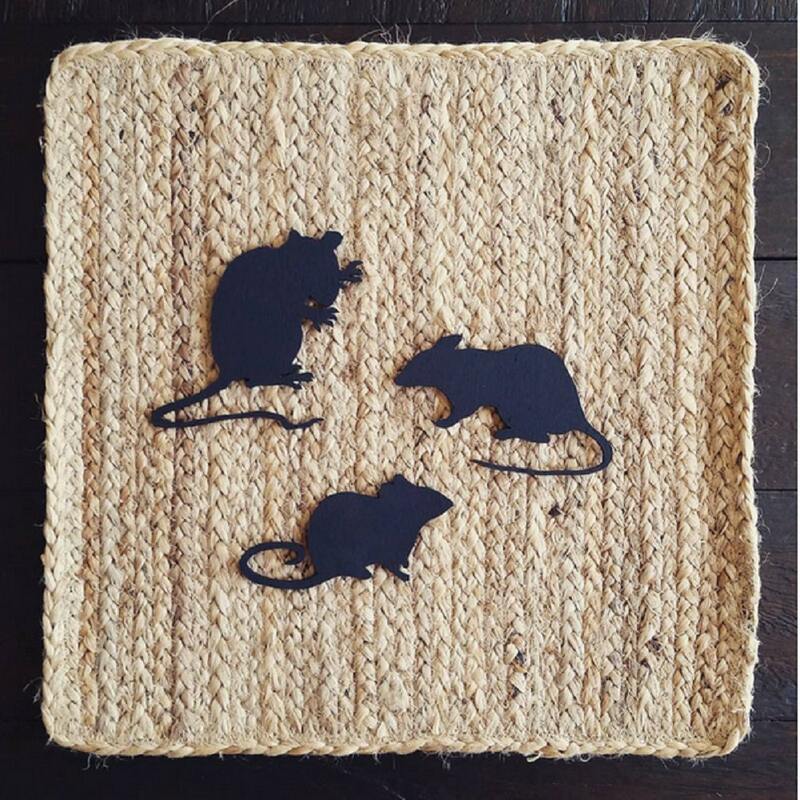 You can even write on these with chalk and use these as place cards for your Halloween dinner party..
Each set comes with (9) mice, you will receive (3) of each style. 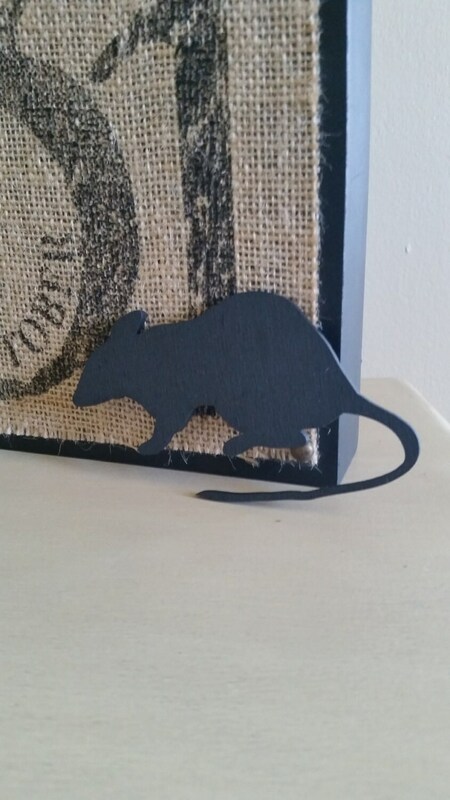 Mice are laser cut from 1/8" wood and painted black. These are ready to ship.! These are awesome! I purchased two sets. I made some from cardstock but these are so much better! Great Seller! THESE ARETHE CUTEST MICE! SO MANY WAYS TO USE THEM! I made these before out of black cardstock. These are so much better. You rock!